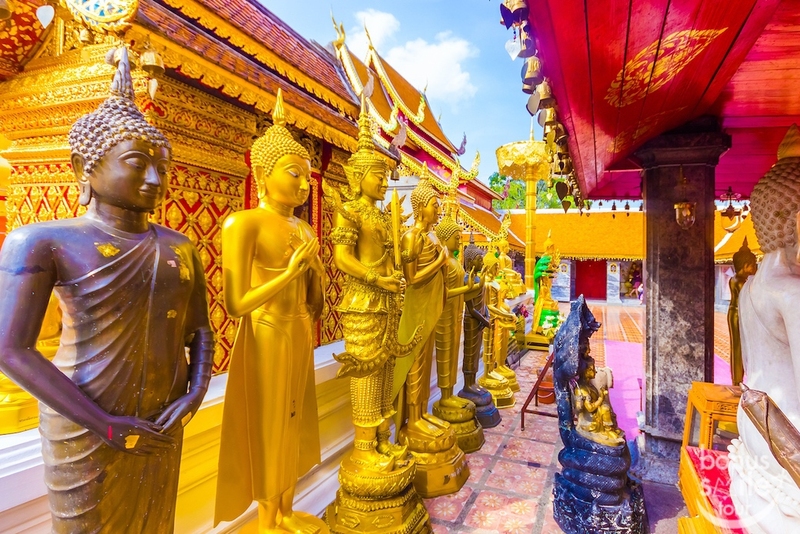 Wat Phra That Doi Suthep is a sacred place in Chiang Mai. 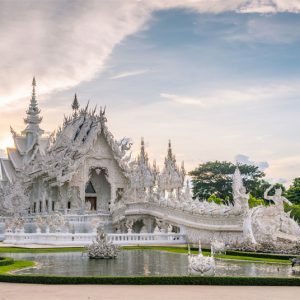 It is a Theravada “Wat” (which means temple in Thai) and has been highly respected and worshipped by Chiang Mai and Thai people for centuries. Wat Phra That Doi Suthep, always called as “Doi Suthep” although this is actually the name of the mountain where it’s located. Architecture of the temple is in Lanna style combined with the Chiang Sean style of pagoda. The pagoda can be reached via a 185-step staircase flanked by Naga (serpents); the climb is intended to help devotees accrue Buddhist merit. These steps still doesn’t include the steps from the entrance which can be counted to 306 steps for total. 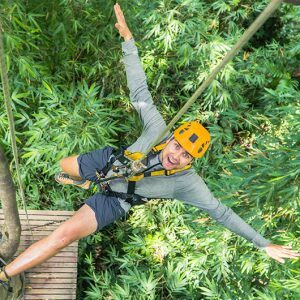 But don’t despair, if the climb sounds like no fun, there is an option!, the cable cars which right at the entrane of the temple is also available. After finish the staircases or the lift, you will find the wide terrace at the basement around the pagoda which considered as a great view point of Chiang Mai city as well. So do not miss this!! 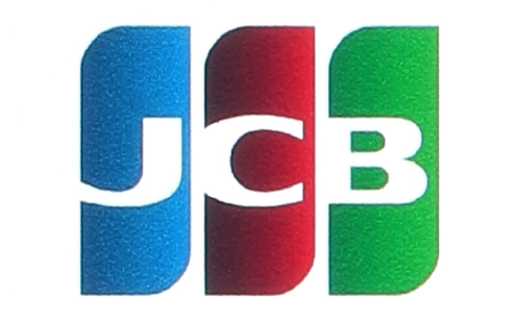 , This is strongly recommended of visiting for the prosperity of your life and your family. 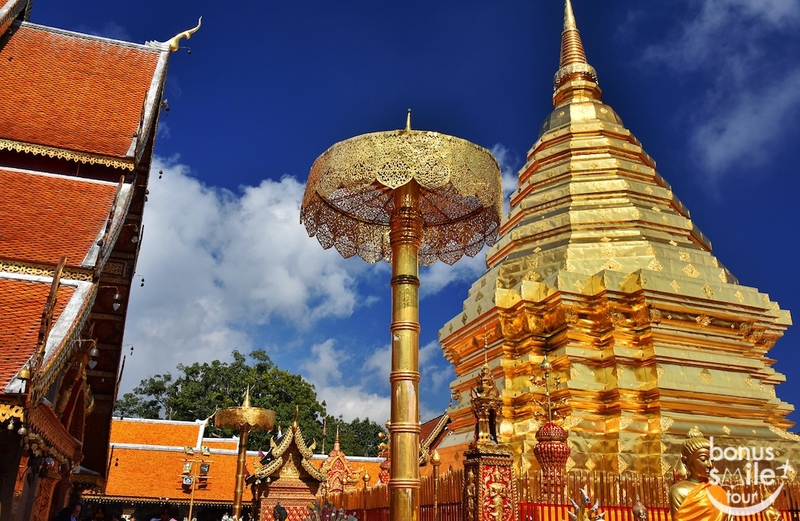 Wat Phra that Doi Suthep temple is a Theravada wat in Chiang Mai Province, Thailand. 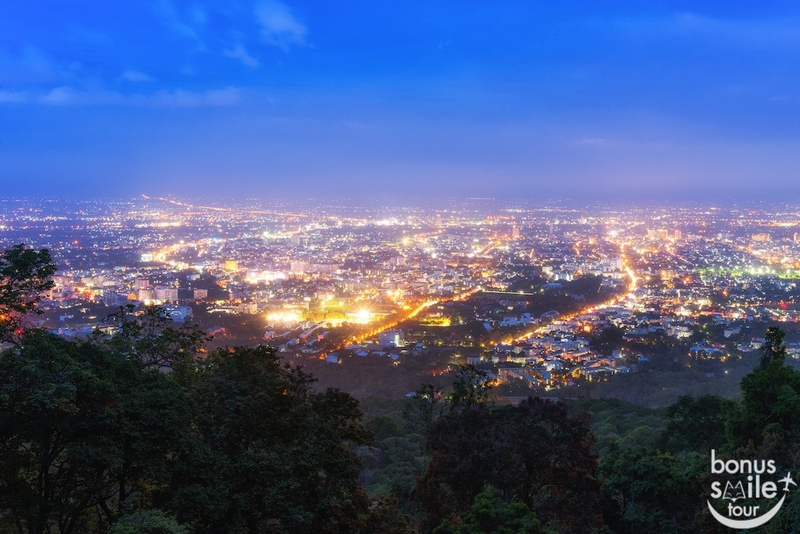 The temple is often referred to as “Doi Suthep” although this is actually the name of the mountain where it’s located. 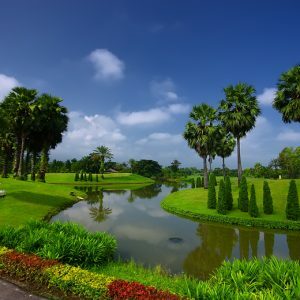 It is a sacred site to many Thai people for many centuries. The temple is said to have been founded in 1383 when the first stupa (Buddha’s remains) was built. 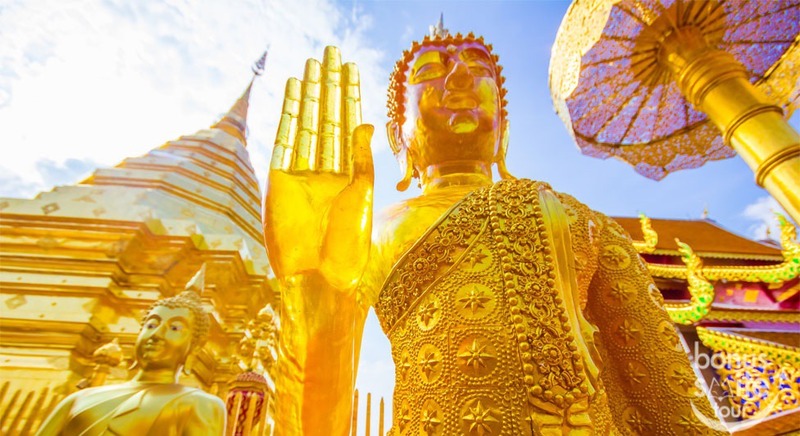 And a 24-meter-height golden shining pagoda which is a symbol of the temple was built afterward to cover the Buddha’s remains. 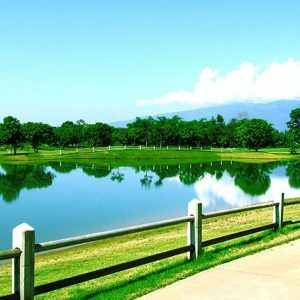 A road to the temple was first built in 1935.The temple is 15 kilometres from the city of Chiang Mai. 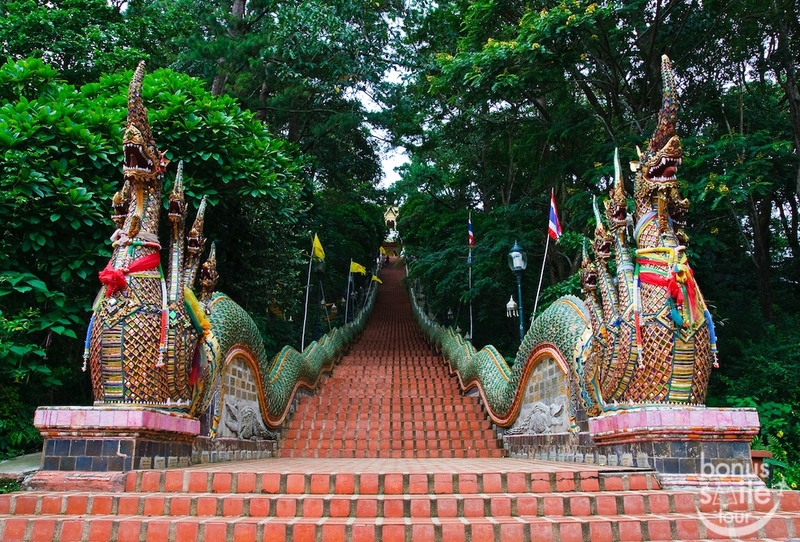 Over three hundred steps lead from the parking area to the temple grounds, a staircase bordered by the longest naga (water serpent) balustrade in Thailand. Nagas are sacred water serpents which bring good luck as well as bridging the earth and sky.